to you. Demand environmental sustainability. Demand social responsibility. world in which we do it. Demand more. Get more. 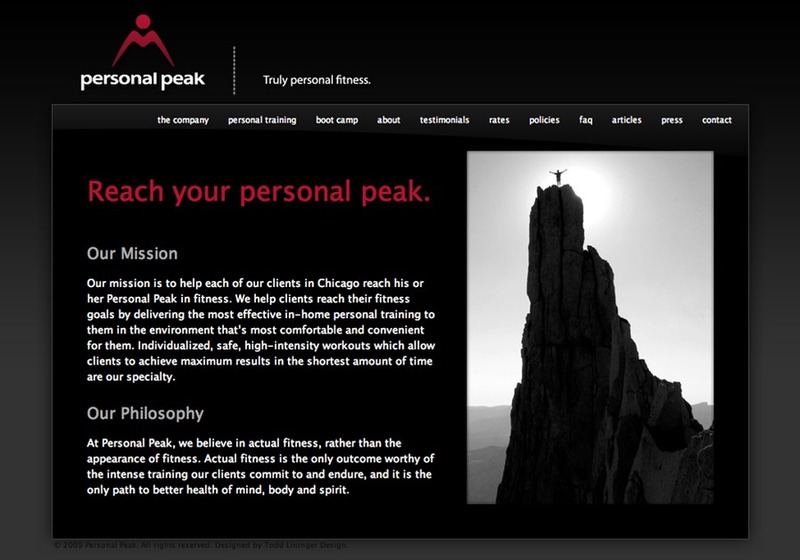 This is a screenshot of the homepage for Personal Peak, a fitness training company in Chicago. The client wanted a dramatic site that would entice new clients to sign up for their personal training services.